This program allows users to add unlimited rows of search criteria to filter a list. 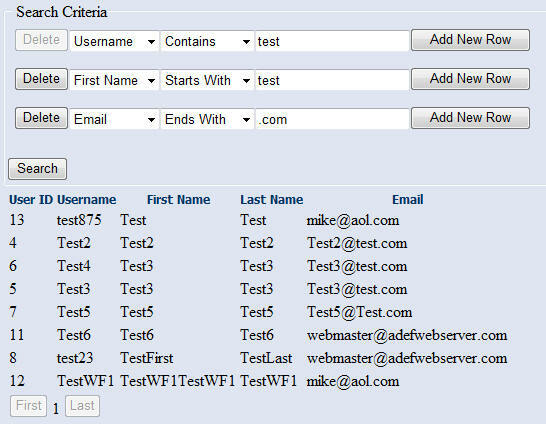 This example uses the DotNetNuke Users table (normally you would not want to connect directly to a DotNetNuke core table. It is only used as an example). Even though there is a lot of Linq code to construct the queries, there is only one trip to the database to execute the query.